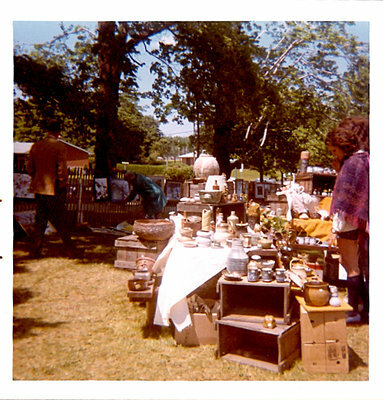 Art in the Park started in 1965, and originally went by the name of Art on the Green. First held in Lakeside Park, it was sponsored by the Town. 580 paintings were exhibited along fences, hung on trees, and laid on the grass. 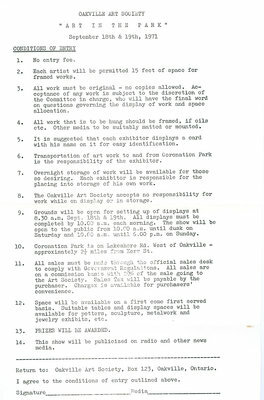 In 1966, the outdoor art festival had a new name and a new venue - Coronation Park. Art in the Park was, and continues to be great exposure for artists. 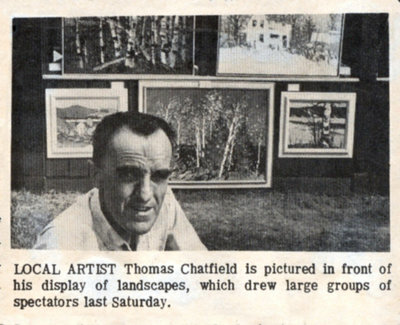 Famous Canadian artists, such as Robert Bateman (and former member), exhibited at Art in the Park. To this day, Art in the Park continues to be the largest fundraising event for the Oakville Art Society and is enjoyed by all in the Oakville community. 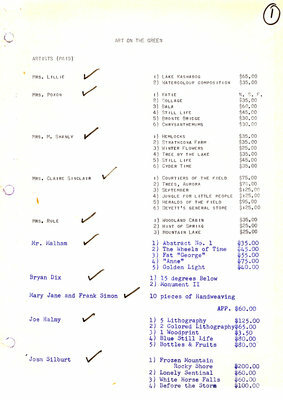 Participants had to pay $1.00 to display their artwork. Over the years the exhibition has been re-imagined to include barbecues, musical entertainment, dance performances, and art demonstrations in various media. 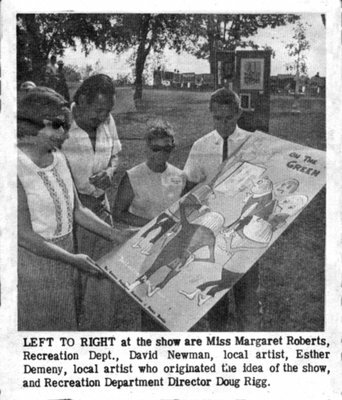 The name changed to Art in the Park the following year, due to its similarity to Guelph's 'Painting on the Green' an annual arts festival that had been occurring for six years prior. 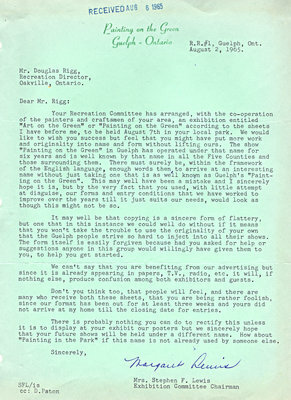 A letter from the exhibition committee in Guelph wrote to the Director of Oakville Parks and Recreation due to the similar nature of the two festivals. 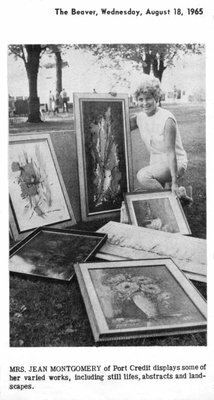 In 1966, the festival was organized solely by OAS and since then, Art in the Park has become a widely recognized event in the arts world. 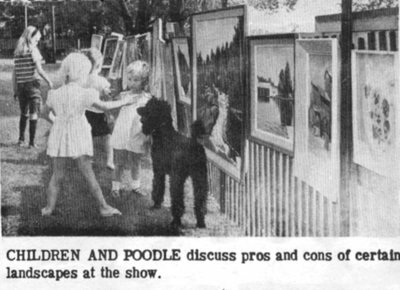 Artworks exhibited at Art on the Green were available for purchase, a tradition that continues to this day. 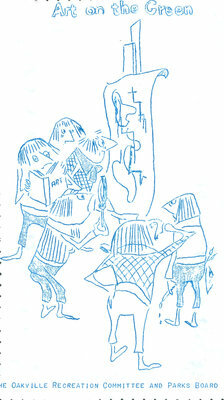 The prices ranged from $3.00 for a small woodcut to $200.00 for a painting. 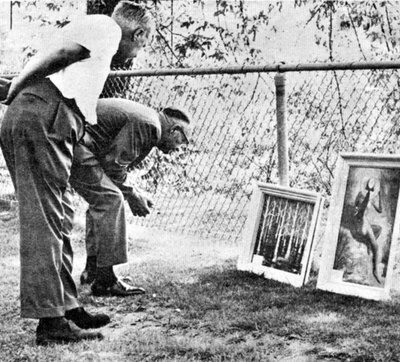 During the 1972 Art in the Park, visitors not only had opportunities to look and purchase art but were able to watch demonstrations. A wax-sculpting demonstration was given by Mrs. Margo Vanderhart, while Fred Sevestre demonstrated oil painting. 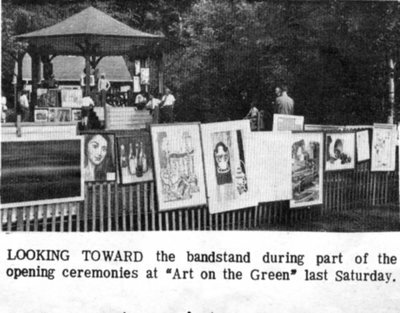 In 1974, Art in the Park expanded to include a live music provided by the Climax Jazz Band, which added to the festivities. 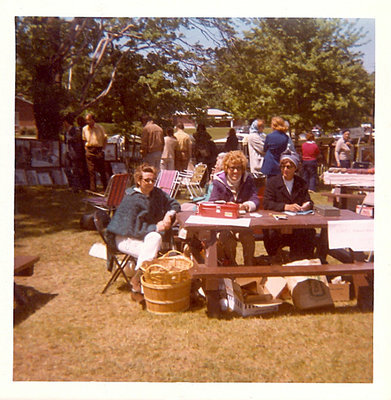 For a short time in the 1980s (82-87) Art in the Park became apart of the Mayor's Picnic. 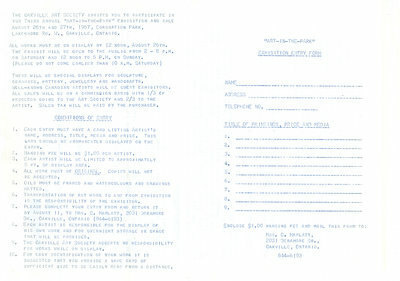 It was later decided to end the partnership as OAS' identity was becoming lost. 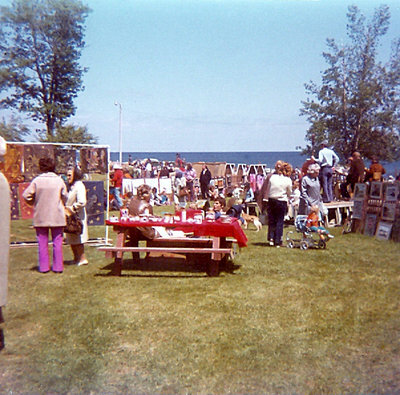 Since 1997, Art in the Park has been held at Heritage Park in Bronte Harbour. It is a one day event on the civic holiday in August.